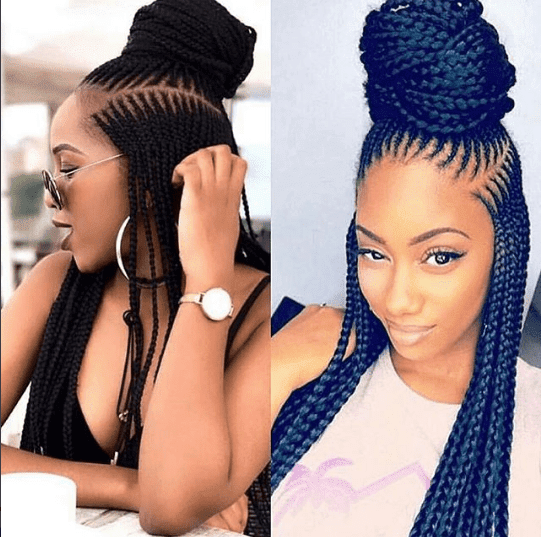 Ghana weaving is a trendy hairstyle women have been rocking for a while now. If you haven’t by now then most likely you haven’t seen our list yet. Just as the name implies, Ghana weaving originates from Ghana and is only slightly different from your regular corn rows. There are several ways you can rock your Ghana weaving, from a simple all-back style, to a stylish shuku and much more. As the festive seasons draw nearer and you plan for the hairstyles to rock with the season, these are 10 styles you should consider. 4. Would you try this look too?